Timber Tops Luxury Cabin Rentals gives guests an inside look at the newest Pigeon Forge moonshine distillery, Old Forge Distillery. The newest Pigeon Forge moonshine distillery, the Old Forge Distillery, incorporates local ingredients and flavor into each of its products. With Old Forge Distillery, we are most excited to see so much of the area’s history come to life within their products. On July 24, 2014, Timber Tops Luxury Cabin Rentals announced the opening of a brand new Pigeon Forge moonshine distillery. 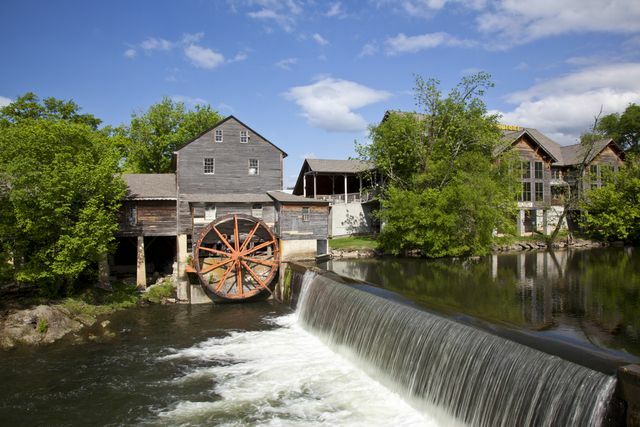 The Old Forge Distillery is the first moonshine distillery to be opened in Pigeon Forge, and the owners plan to incorporate as much of the area’s history as possible into the the items it sells. 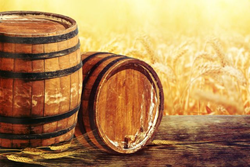 The name Old Forge Distillery comes from the iron forge that was built in the early 1800’s by Isaac Love, the son-in-law of Pigeon Forge founder, Mordecai Lewis. The iron forge stood where the new Pigeon Forge moonshine distillery does today. In addition, the new Pigeon Forge moonshine distillery aims to incorporate as many locally-made and grown products as possible, including the corn used inside their debut flavor, 1830 Original. Not only was the corn harvested in Tennessee, but it was ground at the distillery’s neighbor The Old Mill. The custom moonshine jugs found at the Old Forge Distillery were also made by one of the company’s neighbors, Pigeon Forge Pottery. Old Forge Distillery is located at 170 Old Mill Avenue, Pigeon Forge, Tenn. 37863. The distillery is open for tours daily from 10 a.m.-9 p.m.
To learn more about new Pigeon Forge moonshine distilleries and Pigeon Forge attractions opening soon, be sure to follow Timber Tops Luxury Cabin Rentals’ blog at http://www.yourcabin.com/blog. Established in 1996, Timber Tops Luxury Cabin Rentals is an industry leader in professional property management in the Gatlinburg, Sevierville and Pigeon Forge area. Locally owned, the staff at Timber Tops strives to provide each guest with attentive, courteous, proactive and prompt service to ensure everyone who visits one of our luxurious cabins gets the most out of their vacation. Timber Tops Luxury Cabin Rentals’ office is located at 1440 Upper Middle Creek Road, Sevierville, TN 37876. For additional information on our services, or to reserve your cabin today, contact us by calling 1 (800) 266-1066, by email at reservations(at)timbertops(dot)net, or visit our website at http://www.yourcabin.com. Our office is open 24 hours a day! Old Forge Distillery, the new Pigeon Forge moonshine Distillery, is located next door to the most historic attraction in Pigeon Forge, The Old Mill.